Paul Handler, professor emeritus of physics at the University of Illinois at Urbana-Champaign, died on Saturday, January 24, 1998, of complications from lung cancer. He was 68. 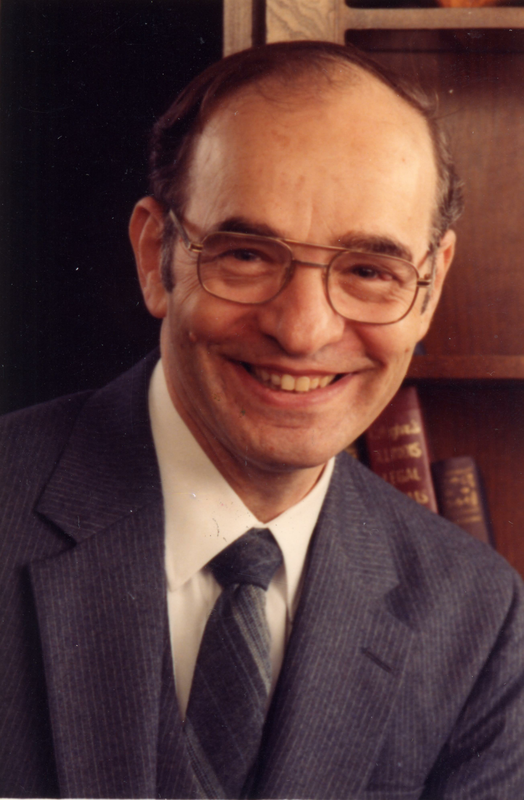 During his distinguished career at Illinois (1956-1998), he forged important links between Physics and Electrical Engineering, holding joint appointments in both departments for several years. Paul will be remembered for his seminal contributions to three widely divergent areas of physics—condensed matter physics, physics education, and geophysics. He was an outstanding solid state experimental physicist, making important contributions to the understanding of the surface physics and optical properties of semiconductors. He participated in the development of the PLATO system for computer-based education, and he pioneered a novel theory of the effect of volcanic aerosols on worldwide climate fluctuations, using data on volcanic activity to improve the technology of American agriculture. Paul was born in Newark, New Jersey on April 24, 1929. He earned a master’s degree in 1950 and a Ph.D. in chemical physics in 1954 from the University of Chicago. He came to the University of Illinois as a postdoctoral research associate to John Bardeen and worked with him for many years on experimental studies in semiconductors. Although Bardeen was a theorist, he established the first semiconductor experimental laboratory at Illinois and hired Paul to run it. Eventually, Paul assumed leadership of the Bardeen laboratory and gradually changed its focus from surface physics to optical properties of semiconductors. He made essential contributions to the understanding of transistors and pioneered the technique of modulation spectroscopy. Paul devoted about ten years’ research to computer-assisted education and the study of demography. He was instrumental in the development of PLATO, and he independently developed a computer-based model for demographic forecasting. He was the Director of the Population Dynamics Group at the University, and his model was used to train demographers and family planning experts in population projects for the International Planned Parenthood Association, the World Bank, and the U.S. Office of Education. In 1974, Paul began developing a sophisticated long-range climate- and crop-forecasting model, based on his theory that air-borne dust created by certain low-latitude volcanic eruptions reduces the amount of solar radiation reaching the earth’s surface and thus modulates the normal annual climate cycle. His model enables accurate extended forecasts (six months or more into the future) of such widely disparate phenomena as the cumulative rainfall during the Indian monsoon season, the frequency of tropical storms and hurricanes in the North Atlantic, variations in seasonal average water height in the Great Lakes, and annual corn and soybean yields in the U.S. Midwest. His forecasts were used extensively in agribusiness and energy, and he served as a consultant to the Climate Division of the Lawrence Livermore National Laboratory. Paul Handler possessed one of the greatest gifts a physicist can have—eternal curiosity, the pressing need to know how things work. He himself described this trait perfectly in a 1993 interview. When asked why he turned down the offer of an industrial position in 1956 at three times his annual University salary, he replied, "I think it was just personal preference. At the time, I enjoyed learning, and I felt I was learning an awful lot . . . I thought I really wanted to still be a student." Our Department was indeed fortunate that Paul chose to spend all his "student" years here in Urbana. He will be sorely missed.